Located in the Scarborough Lane Shoppes in Duck, Cariloha Bamboo Outer Banks offers luxurious bamboo apparel and accessories for both men and women. You’ll also find an extensive selection of fine bedding and bath goods. Our product line includes shirts, shorts, active wear, dresses, socks, bathrobes, bed sheets, towels and so much more! Best of all, everything in our exclusive collection is made of soft, cool, clean and green bamboo! This eco-friendly material is twice as soft as cotton, cool and comfortable, and naturally repels odors and allergens. Inspired by the essence and energy of the islands, Cariloha Bamboo began in the Caribbean in 2007 as a high-end luxury brand offering island-leisure products. Much has happened since then, and today Cariloha Bamboo has over 50 stores in 16 countries. Cariloha Bamboo in Duck opened its doors in August of 2017, bringing a new world of natural luxury to the Outer Banks. Next time you are in Duck, be sure to stop by and see how Cariloha joins the style of the Caribbean with "the spirit of Aloha". Cariloha Bamboo is your go-to destination for premier, luxury bamboo apparel and accessories on the Outer Banks. Many of you may know our stores from visits to the Caribbean Islands and cruise ship destinations. We are excited to bring these amazing natural bamboo products to locals and visitors of the Outer Banks. So, come on in and see us! 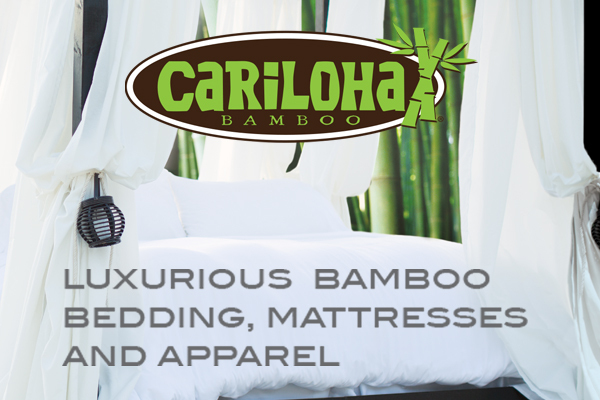 The friendly and helpful staff of Cariloha Bamboo is eager to tell you more about our selection, and help you to find the perfect product for you! Ultra-soft, comfortable clothing, bedding and more, made completely of bamboo! Apparel, accessories, home decor, bed and bath sets, mattresses, beach blankets and much more!